Smoking early in pregnancy raises risks of heart defects in newborns. MOTHERS who smoke early in pregnancy are more likely to give birth to infants with heart defects, according to a study funded by the Centers for Disease Control and Prevention (CDC). during the month before pregnancy to the end of the first trimester were more likely to give birth to infants with certain congenital heart defects (CHDsl compared to women who did not smoke during this time period. 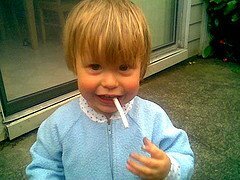 The association was stronger for mothers who reported heavier smoking during this time period. "Most people know that smoking causes cancer, heart disease and other major health problems," said Dr Margaret Honein, one of the researchers in the CDC's National Center for Birth Defects and Developmental Disabilities, "The indisputable fact is that women who smoke during pregnancy put themselves and their unborn babies at risk for other health problems." The findings from the study, "Maternal Smoking and Congenital Heart Defects", were based on the US National Birth Defects Prevention Study, which is the largest population-based study ever done on the causes of birth defects in the United States. Nine states participated in the study: Arkansas, California, Georgia, Iowa, Massachusetts, New York, North Carolina, Texas and Utah. This research included 3,067 infants with CHDs and a comparison group of 3,947 infants with no major birth defects. The study found that septal heart defects - a hole in the heart between the left and right heart chambers, which disrupts the flow of blood and oxygen to the body - were the most common defect found among infants who were born with a cardiac defect. Researchers also found conotruncal (poor blood circulation from lower heart chamber), right-side obstructive (blood is blocked from flowing freely from the right side of the heart) and left-side obstructive (blood is blocked from flowing freely from left side of heart) defects. CHDs are the most common type of birth defect, occurring in eight to 10 of every 1,000 live births in the United States. Many infants with CHDs die in the first year of life, and infants who survive often require numerous surgeries, lengthy hospitalisations and a lifetime of treatment for related disabilities. * Smoking makes it harder for a woman to get pregnant. * Women who smoke during pregnancy are more likely than other women to have a miscarriage. * Smoking during pregnancy causes major health problems for both mother and baby. For example, smoking is one of the causes of problems with the placenta - the source of the baby's nutrition and oxygen during pregnancy. * Smoking during pregnancy can cause a baby to be born too early and have low birth weight - making it more likely the baby will become sick or die. * Babies born to women who smoke are more likely to have a cleft lip or cleft palate-types of birth defects. * Smoking during and after pregnancy is one of the causes of sudden infant Death Syndrome (SIDS). Can gemstones influence our moods, our health, our wealth, our lives?